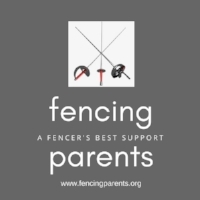 As a parent of three competitive fencers, I’ve watched my kids struggle with balancing sports and academics. The one concept that I drilled into my kids’ heads early on was that school ALWAYS comes first. Solid academics will increase a teen’s chances of being admitted to competitive schools and finding a spot on an NCAA fencing (or any other sport) team. Likewise, poor grades will limit a teen’s choices for college, regardless of how good of an athlete she may be. So, how can a teen keep her grades up while performing at her peak in a sport? I asked my kids and their teammates for tips on how they successfully balanced school and fencing. Since most of the fencers that I consulted are college graduates who joined NCAA teams at top colleges, I would take their advice to heart. Maintain excellent communication with your teachers. Keep them updated on your schedule so that they can best prepare you for your absences. Show them that you are serious about your academics by making up assignments and tests in a timely manner, and spending lunches or after school hours in the classroom to catch up. Respect and communication are key to getting the support you need. Keep a calendar of all assignment due dates and test dates. There are a number of great online scheduling apps (ex: Google Calendar), or you can simply use a physical planner. You will have a much easier time organizing your life if you schedule your practice and competition dates and times alongside assignment due dates and test dates. Use your time wisely. Those chunks of time you spend waiting for or riding in a car, train or airplane to practice or tournaments can be used for studying. Bring along headphones or earbuds to create a focused mental space. Get motion sickness? Try audio books! Procrastination is a bad word. Don’t put off assignments and projects. Get them done and out of the way while keeping ahead of due dates and deadlines. If you have to make up work, especially a test, be sure to do it as soon as possible while the information is still fresh in your head. Consider using a tutor. Whether you need some help in a class or preparing for standardized tests, a tutor can be an efficient way to get the help you need and on your schedule. Have the right attitude. There are only 24 hours in the day to do everything you need to do. Be prepared to sacrifice some leisure time to catch up on school work or to squeeze in extra practice before a competition or game day. Work with your academic counselor. She can give you insight on selecting the right classes for your academic track while avoiding ones that overload your schedule and do not align with your goals. So there you have it! The secrets to success as shared by student-athletes who have successfully balanced school and sports. Sports are a great way to develop valuable skills outside of the classroom. In fact, studies have shown that kids who participate in sports do better in school. But balancing the two is not easy, though rest assured your teen will benefit from the valuable tools gained for the rest of her life. Virginia is a Marketing Consultant for AskVersed.Com, an advisory network powered by seasoned parents who have helped their children develop their academic and extracurricular strengths, navigate the college admissions process, and gain admissions to top universities. She is also a fencing mom who acts as the armorer, plays travel agent, and washes stinky uniforms for her family’s competitive fencers.